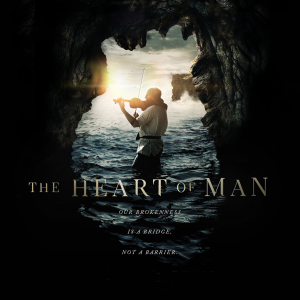 On Sunday, May 5th, VCC will be showing the movie The Heart of Man–hosted by Michael Goeke with Mid-Valley Fellowship. The film features emotional interviews with real people going through their mess and subsequent healing, and includes expert witnesses of such as William Paul Young, author of the NY Times best-selling novel “The Shack”, Dan Allender, Ph.D, author of “The Wounded Heart” and Spoken Word Artist Jackie Hill Perry. All of that is interwoven with a production-rich “prodigal son” narrative story shot in Hawaii. This movie is intended for older teens and adults. There will be a taco/burrito bar after church for those attending the movie. There will also be a place for children and younger teens to be during this time. Children ages 0-3 will be in Room 2– parents are asked to please bring a sack lunch for their child. Children ages 4-14 will be in the Youth Building for a movie–the church will provide pizza for them. The number of viewers is limited to 100 for The Heart of Man. Please sign up in the Lobby, including how many children for each age group. We want to be sure to have enough food and childcare workers.